I skipped Insta-Friday last week due to a lack of cell phone photos. This week, I am back to sharing some cell phone highlights from the past week, or couple of weeks in this case. My daughter’s dance studio had their end-of-year recital. She performed in jazz, tap and ballet and had a great time doing it. 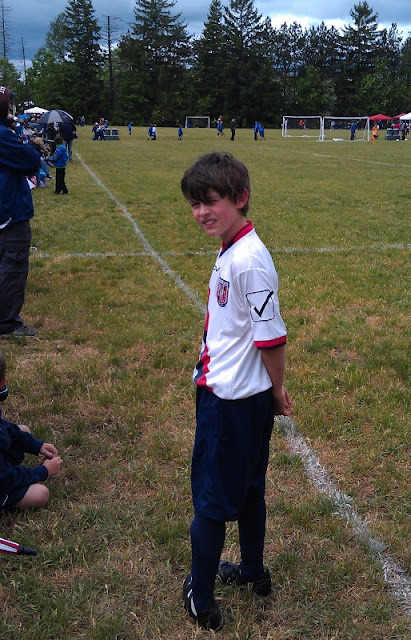 The focus in our house now is soccer—three times a week for my son and once a week for my daughter. May and June mean uncertain weather on our soccer fields—rain one minute, sun the next, freezing cold wind after that. We go from t-shirts and sunscreen to hats and blankets in the same day sometimes. Only a couple weeks of school left. That means the annual Family Fun Night at school. We enjoyed some veggie burgers and the kids got to hang with their buddies (who they see all day at school anyway, but whatever). I enjoyed winning two prizes in the draw—a $100 gift card for the local health food store and a $100 gift card for a regular grocery store. I bought $20 worth of tickets, and obviously it paid off! I promptly spent the health store gift card a couple of days later. 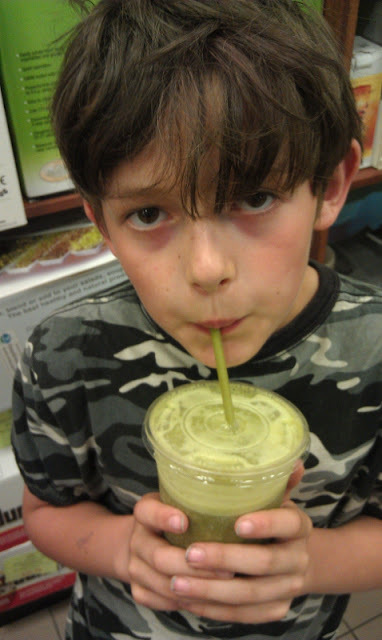 My son enjoyed a green smoothie while we shopped there. I had a “spring cleaning” juice. One of my favourite simple pleasures is shopping. 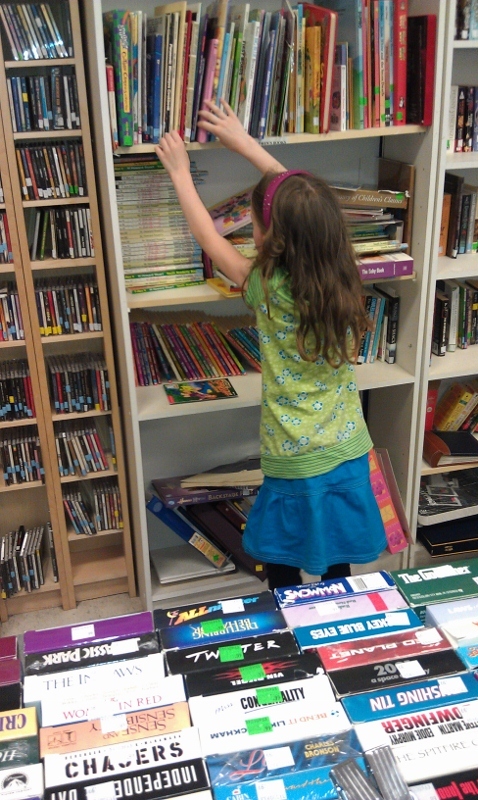 Here is my daughter at a thrift store. 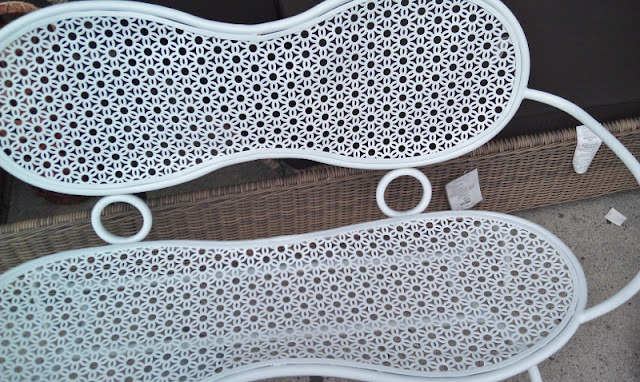 I also visited Homesense recently and took photos of all the things I would have liked to buy but didn’t, like this outdoor bench. 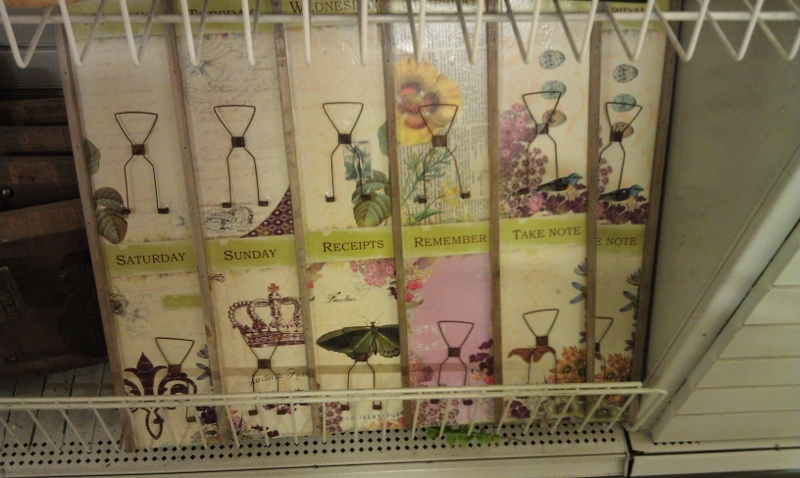 This cool receipt organizer (I can just see the mess of papers hanging off of it now). Another of my favourite simple pleasures is food. 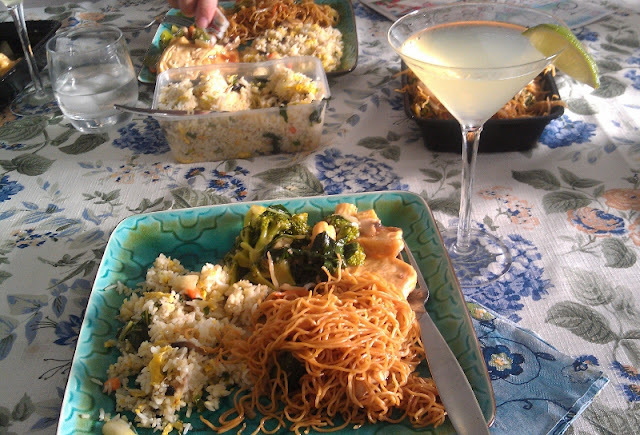 I recently enjoyed some takeout Chinese food with a margarita. 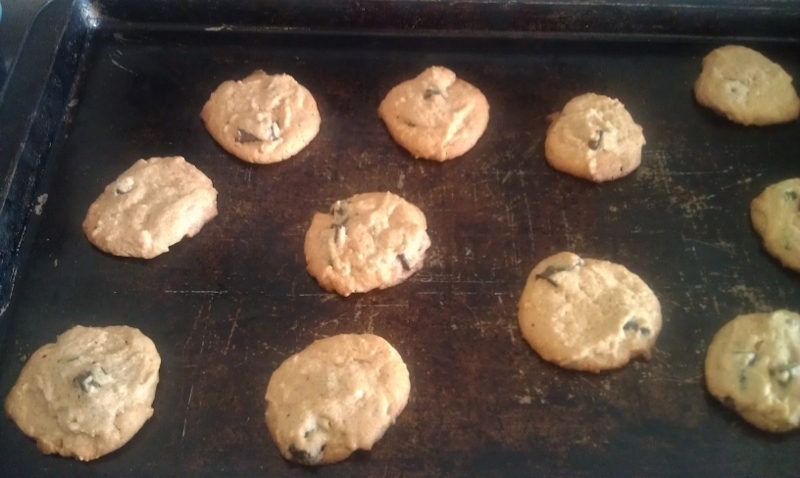 One day when my daughter had a friend over, I whipped up these simple peanut butter cookies with Enjoy Life allergen-free chocolate chunks in them. 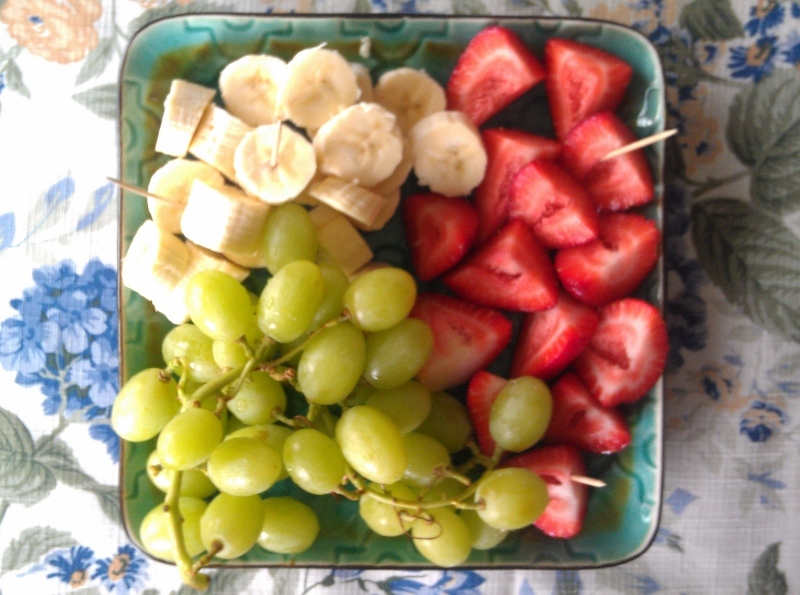 I love to have fresh fruit in the summer. I hope to go strawberry picking soon. Sometimes I end up missing our short season. 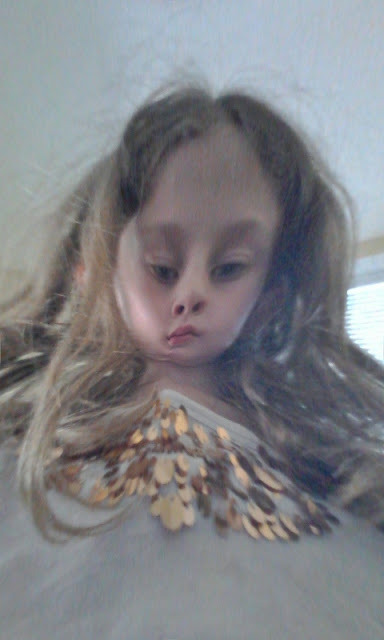 My daughter was messing around with the effects on the cell phone cam recently. 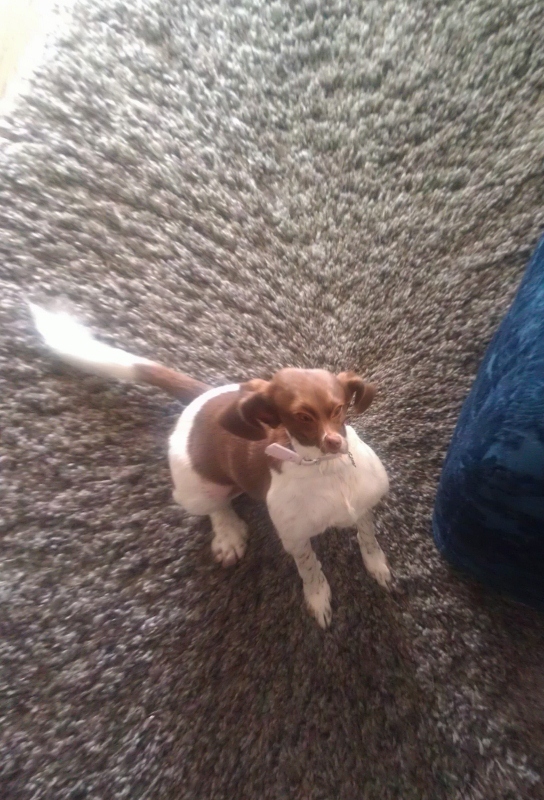 Here’s Jolene. 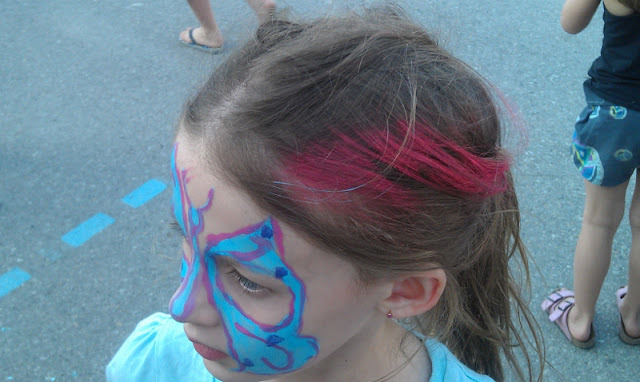 Here’s my daughter herself, looking like a creepy version of those doll heads that you use for hairstyling. Oh my gosh. That sideboard! I love it! Have a great weekend! I love the sofa and sideboard too. And my daughter loves to do that to her photos on my phone too. The sofa and the sideboard would be great together, actually...hmm..but someone had reserved the sofa. Plus it doesn't go with my stuff. Anything that occupies the kids is useful right? Great pics! Made me hungry for some Chinese food! 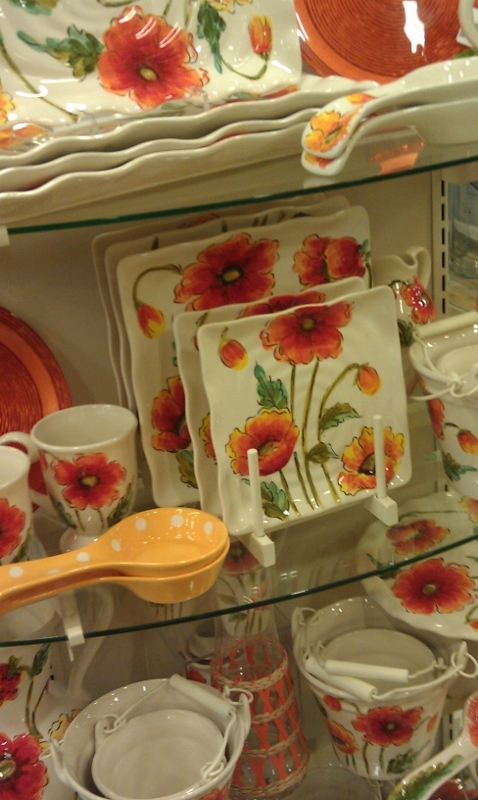 Such pretty dishes too. Thanks so much! You have a fantastic weekend too! 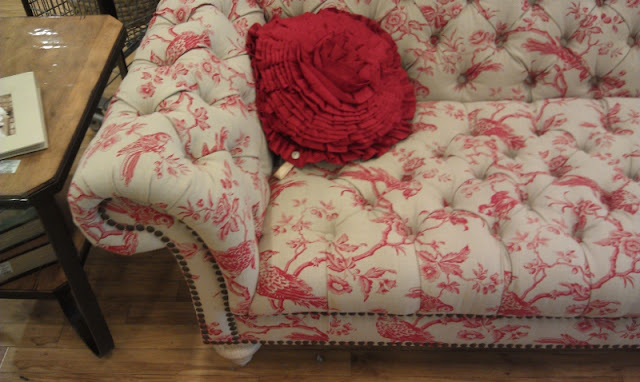 Love the couch! It drew me in over at LifeRearranged. And loved reading about you and learning you still love Nirvana. I am right there with you, but it's Pearl Jam. Nice to meet you! I'm glad your week was so lovely! I like it too, Julee! 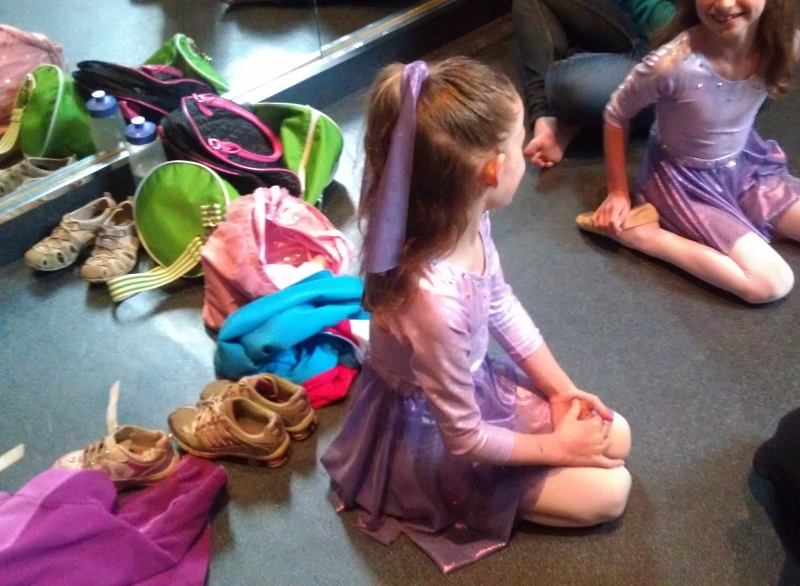 I never did dance recitals, but I'm glad my daughter loves dancing. 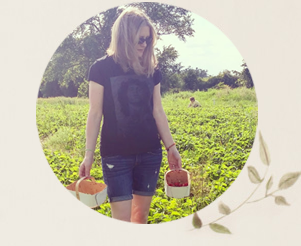 I hope you get to go strawberry picking (and me as well)! That's awesome to win two prizes- lucky! Now you can take your savings and apply it towards that sideboard- I love it. ohh that sofa!!! how dreamy! i love your daughter's pics shes so graceful and quirky at the same time :) and your son, he's cute and so shy :) also love ur chinese take-away with a margarita hehehe will try that sometime :) have a wonderful week! You really nailed it about the children. Graceful and quirky truly describes my daughter. 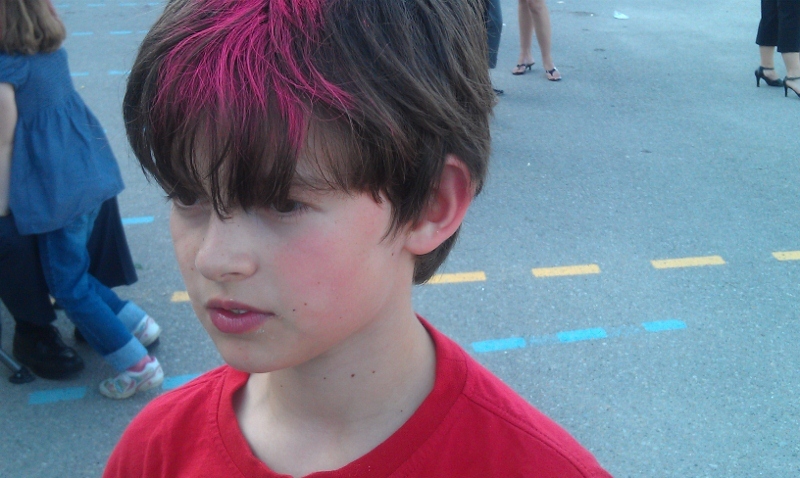 And my son is pretty shy! Very perceptive! My brother-in-law made fun of me for having Chinese food and a margarita (today when we were having Mexican food together and I was having a margarita again ;) but I thought the pairing was good! You have a wonderful week as well! I love that your kids will drink juices like this - super wow! And this fruit salad look delish! 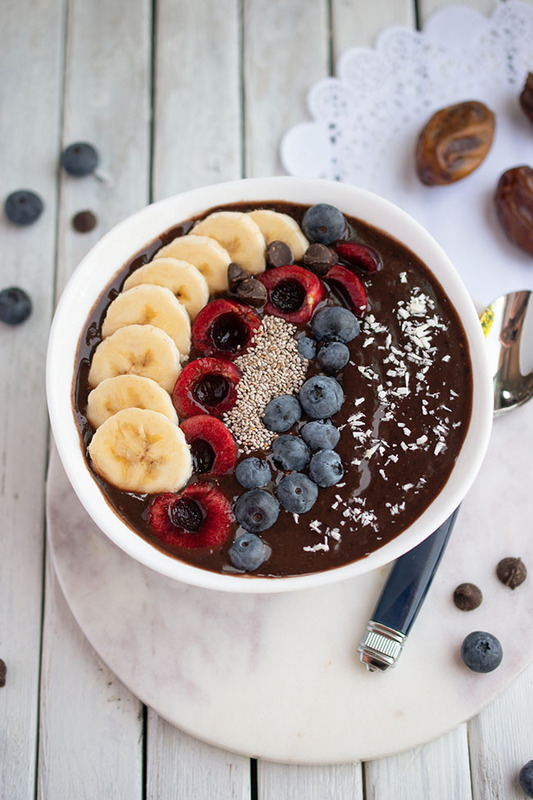 Have a super fab weekend sweepea! My son will have the juices/smoothies. My daughter can sniff out veggies. ;) She only wants fruit in there! Have a wonderful week! That Chinese food looks awesome and it just made me realize that I haven't had some in...forever! That floral couch looks so vintage and cute as well :-). And I must say, you seem like an astounding mother. You are so involved in your kids lives and spread around so much love. 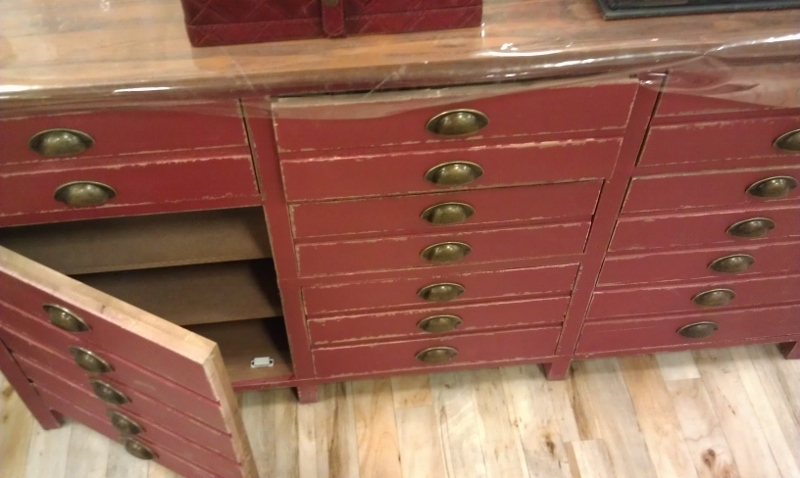 I saw that red sideboard yesterday (Wed. Aug 1) at the Cambridge Homesense. It was marked down to half price $250 (a steal since the handles alone would cost that much). I phoned back early this morning and it sold the afternoon of Aug. 1. Was that the same one? If not, it would be encouraging to know how many there are out there. I'm sick that I didn't grab it then but I didn't have a big enough vehicle. I saw it marked down in price later too, but that was a while ago. I'm pretty sure it's gone. The trouble with Homesense is, it's difficult to find out. I once bought one chair and was hoping for a matching one. I tried calling stores, but most of them were not helpful. We drove to about five different stores and I ended up finding one that was similar.